Dior always delivers the luxury but the Diorific Kohl Velvety Lipsticks are as top notch as it gets. The Diorific Kohl Velvety Lipsticks come housed in shiny gold packaging that remind me of light bulbs. A little bulky. And a lot extra. But still so gorgeous! They feel amazing in the hand and are a pleasure to place on your vanity. Diorific Kohl Lipsticks Aren’t Just Pretty.. The sharp pointed dome bullets aren’t just pretty to stare at. They’re unique, innovative and quite functional, too. At first, I thought the Diorific Kohl Lipsticks would be hard to adjust to. But that crazy looking pointy bullet is surprisingly easy to use! It’s very precise making the Diorific Kohl Lipstick a breeze to apply. You can completely skip the lip liner. Or you could play it safe and still use one, too. I do. The Diorific Kohl Lipsticks spot a “powder matte” finish that definitely looks best with a clean, precise application. So I like a little extra reassurance. For the smoothest application, exfoliate and prep with a lip balm before applying the Diorific Kohl Lipsticks. Corals always look amazing on brown skin. I’m just not a fan of the way corals look on me. However, I’m pushing myself to step out of my comfort zone this year. So I took a leap of faith with 751 Intense Garnet, a bold pinky red coral. It just felt right with spring right around the corner. Plus, Intense Garnet makes a serious statement on my brown skin which I love. There’s nothing more mesmerizing than seeing a melanin queen in a bold lip. I can definitely see Intense Garnet becoming a huge hit this spring! I used to be an extreme pink lip junkie. <strongExtreme. The nostalgia of my makeup beginnings came flooding to me the moment I laid eyes on 671 Tourmaline, a bright magenta pink. I tend to gravitate towards nudes now that I’m getting older-ish. But every now and then I find myself in the mood to throw on a fun, pretty pink. Something like Vibrant Tourmaline. She’s the kind of pink you rock on a bright, sunny day out with your girls shopping and getting drinks. You always need that kind of pink in your life! Are the Diorific Kohl Velvety Lipsticks a Must Have? Not necessarily. The bullet and packaging is unique but the colors are dupable. You could easily find a fun magenta or bold pinky coral with NYX or Urban Decay. The Diorific Kohl Velvety Lipsticks are all about luxury. They feel amazing on the lips and they’re packaged beautifully. The hefty $38 price tag is more so for the quality and luxury than the color. 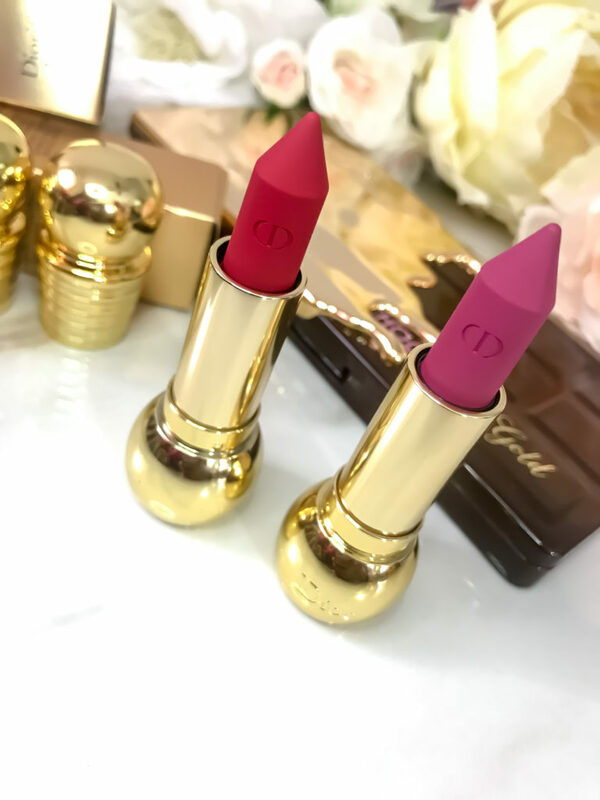 You may find the Diorific Kohl Lipsticks well worth the investment if you’re tired of matte lipsticks leaving your lips dry and cracked. But if you’re just in it for the color then you’ll be better off finding a dupe.